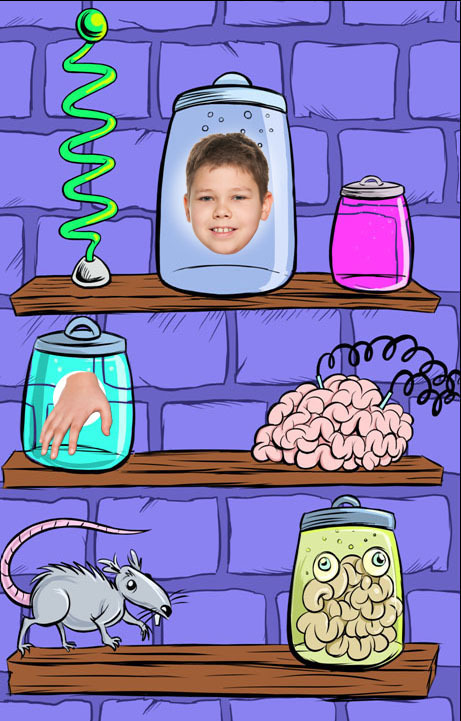 Mad Scientist Lab Photo Face Cutout - Dino Rentos Studios, INC. 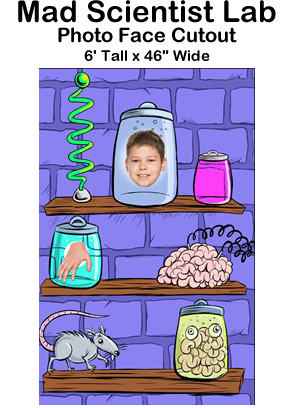 This Mad Scientist Lab Photo Face Cutout is great for your Halloween themed party, display or production! Put your face and right hand in the openings to spook anyone with a camera! The prop is 6’ tall by 3.5’ wide.